We’re used to hearing extended remixes, but shortened ones? Not so much. However, The Chemical Brothers have bucked convention and released a Formula 1 flavoured remix of We’ve Got To Try, which clocks in at a mere three seconds long. The track, known as the WGTT15000BPM F1 NEEEUM MIX, will now be used as the F1 ‘sonic identity’, and clocks in at a staggering 15,000bpm. 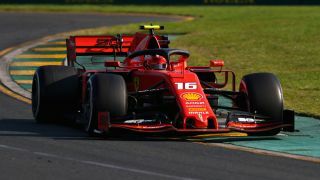 This number was chosen to mirror the 15,000 revs that today’s F1 cars are capable of hitting, says the official F1 website. In order to hit this figure, the original song was broken down, re-engineered and accelerated, the result being a super-fast audio sting that resembles the sound of a Formula 1 car. The original version of We’ve Got To Try will appear on The Chemical Brothers’ forthcoming album No Geography. You can check out the remix in the video below.